I cringe as I scrape the uneaten green beans, ham and scalloped potatoes off of my kids’ plates into the garbage. (Apparently, 2- and 3-year-old children are finicky eaters). 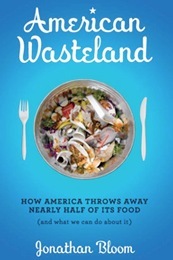 And after talking to Jonathan Bloom, author of “American Wasteland – How America Throws Away Nearly Half of its Food,” I realize we can do better. And it can be so easy. Bloom is a freelance journalist and food waste expert who writes for the blog WastedFood.com. He has quickly become a leading expert on the topic of food waste. I recently spoke with him about his book, his journey into the world of food waste, and his advice for consumers. How did you become interested in food waste? Bloom: It’s been a bit of journey, but basically I wrote about food as a journalist for a number of years. But then I stumbled on this particular facet of food and how much food is not used. One day in 2005, I was volunteering at a food recovery operation called DC Central Kitchens. I was working in the kitchen and had a chance to observe what was going on. Basically this was a nonprofit rescuing food that would otherwise have been thrown out – going to supermarkets, restaurants and caterers, taking their excess. I was struck by the sheer quantity and also quality of food that they had rescued. From that day, I began asking questions and haven’t stopped. Why are consumers, in your words, so “blissfully unaware” of food waste? Bloom: The average consumer doesn’t have to think about food waste for a couple of reasons. First, food is relatively inexpensive in the U.S. But also, consumers don’t really seem to notice how much food they are not using because food waste just goes away. It doesn’t pile up like the newspaper they’re recycling. It either goes into the trash or down the drain. How much to does the average American throw away? Bloom: The average American family of four throws away more than $2,000 a year. That’s the estimate I came to using a conservative spending estimate put out by the USDA and the 25 percent waste ration the garbage project found at the University of Arizona. Twenty-five percent of the food being brought into the home is not actually being eaten. Bloom: The food you don’t eat on your plate is never going to help someone, but that old saying, ‘Clean your plate, there are kids starving somewhere,’ has a real kernel of truth. There are nearly 1 billion hungry people on the planet. The other thing to keep in mind is that when we throw away food, we’re squandering the natural resources that have gone into the making of that food. And when we send food the landfill, we’re it creates methane gas, which is more harmful than CO2. What can the average consumer do to lessen their impact? Be a smarter shopper – Don’t bring so much food into your home that you cannot eat it before it goes bad. Make smaller or more frequent shopping trips, plan meals, make detailed shopping lists you stick to when you shop at the store. This will all benefit your family. Serve reasonable portion sizes – Make it easy for people to take seconds if they want it. There’s no sense in dishing out food waste. It’s a real easy opportunity. Save and also eat leftovers – Lots of folks are really good at packaging and putting food away in the fridge, to only find it two-weeks later in the back of the fridge. Connect to your food – If you’re involved in growing your food or cooking it, it going to be a lot harder to waste. I think it’s so easy for us to waste food today because we’re so disconnected to where our food comes from. The more connected we are, the better off we’ll be in reducing our waste. 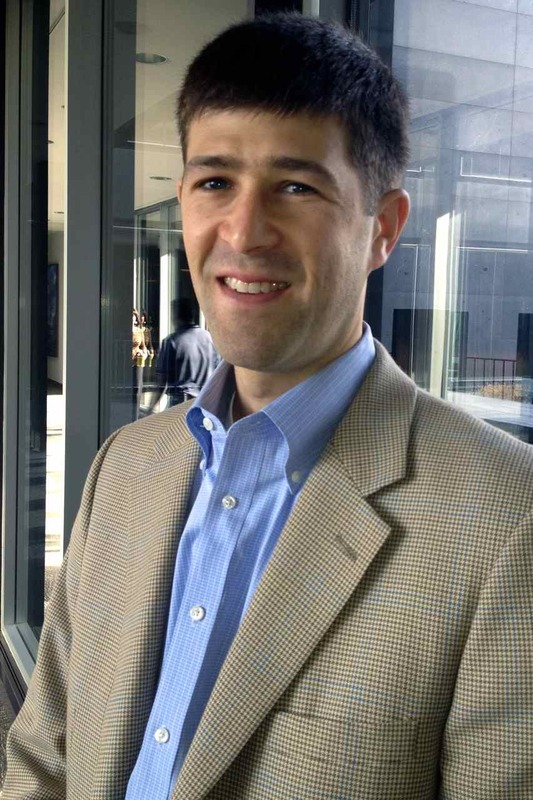 Editor’s note: General Mills is part of the Food Waste Reduction Alliance. It is made up of the Grocery Manufacturer’s Association, The Food Marketing Institute, the National Restaurant Association and many member companies. Bridget Christenson Bridget Christenson is a public relations manager for General Mills, based in Minneapolis, Minn. She oversees corporate public relations initiatives for sustainability and supply chain. She began her career at General Mills in 2011.